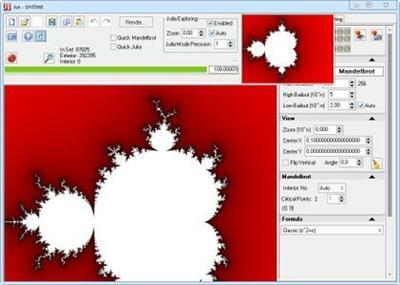 Jux is a fractal explorer for 2D Julia and Mandelbrot sets. It includes a variety of formulas. It has beautiful coloring and lighting effects. It is easy to use. There is no formula editor or scripting.